Calculate how much the buyer can afford, considering sales tax, discounts, and down payment. All amounts are entered as positive. Source: Hewlett Packard. "HP-65 Medical Pac 1" 1974. The program offers a choice between calculating an area of a regular valve or a mitral valve. The program SHUNTS calculates the bi-directional shunts as a percentage. The shunts are R-L (right-left) shunt and the L-R (left-right) shunts. The program STRKWORK calculates stroke work and stroke work index based on pressure, cardiac output (CO), R-R interval (seconds), and body surface area (BSA). 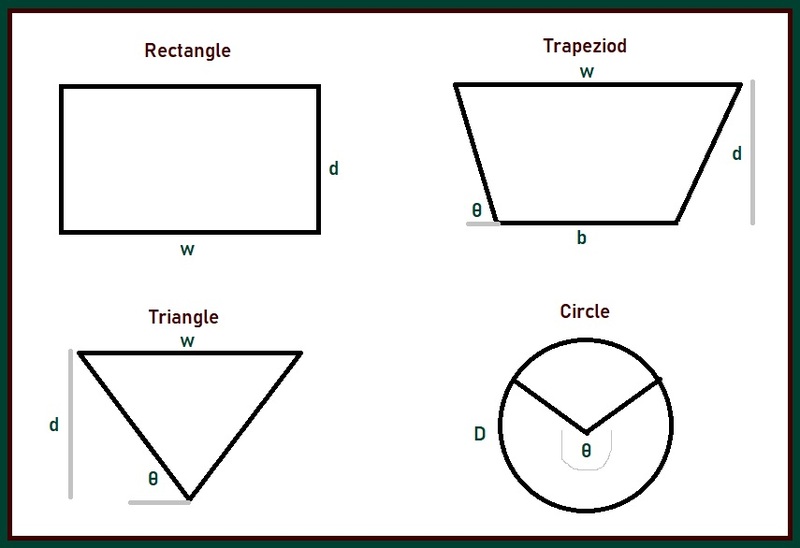 The BSA is optional but is needed to calculate stroke work index. 86 PRINT "SWI: ";S1;"gm m/m^2"
[ M ] Sample Mean for X and Y data. Press CONT for mean of Y values. [ S ] Sums for X and Y data. Press CONT for sum of Y values. [ E ] Standard Deviation for X and Y data. Press CONT for standard dev. of Y values. 120 STAT S(2) @ PRINT "ALL CLEAR"
770 DATA "I: CLEAR","A: ADD","D: DEL","M: MEAN","S: SUMS","E: SDEV","R: A+BX","X: EXIT"
of conductors of four shapes: rectangle, trapezoid, triangle, and circle. The program SUNTIME approximates the time of sunset and sunrise based on a date in a general 365-day calendar, the person's location (longitude (east is negative, west is positive) and latitude (north is positive, south is negative)), and the time zone. I recently received an email asking for help of how to rename columns of the Statistics Editor screen. 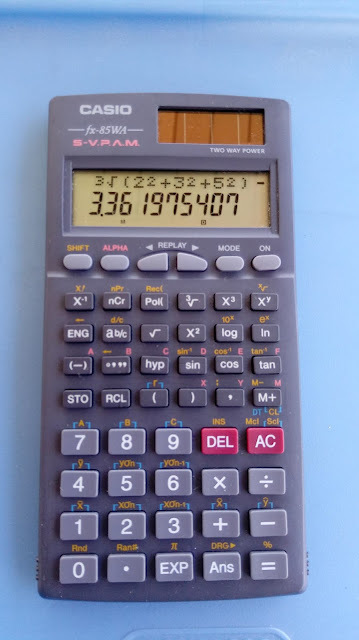 I was not able to figure it out myself, I then asked if anyone at the Museum of HP Calculators knew. D1(-1) = " [ header name in a string ] "
This applies to D2 - D9, D0, C1 - C9, and C0. The HP Prime uses D# in anaylzing 1 Variable Statistics and C# in analyzing 2 Variable Statistics. 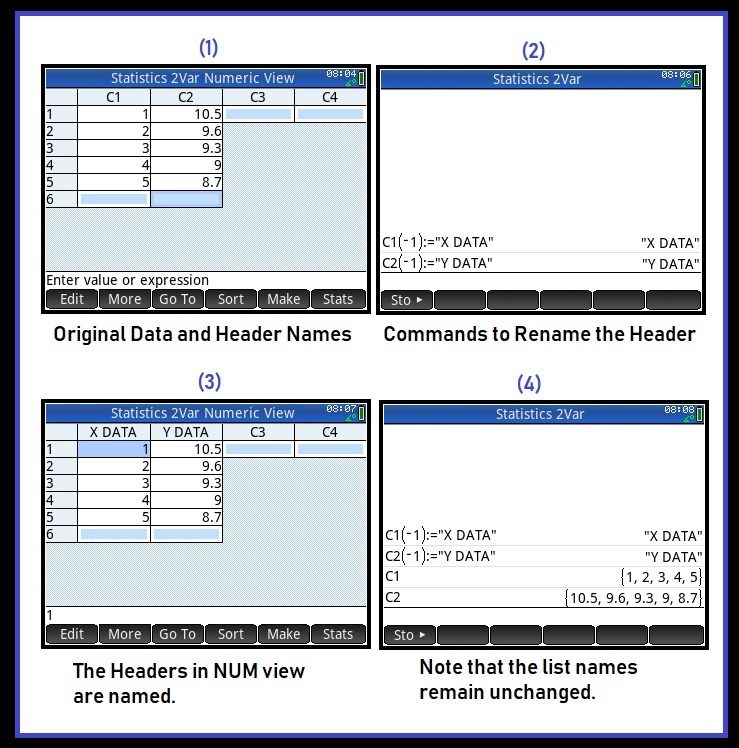 In the illustration listed above, I renamed the headers for both C1 and C2 as "X DATA" and "Y DATA". Note this only changes the header in the Numeric View of the Statistics apps (Statistics 1Var, Statistics 2Var). Caution: This only works for Statistics columns, not for list columns for the list editor, or the matrix columns and rows for the matrix editor. Thanks to Tim Wessman, Tyann, and Roger Céspedes Esteban to sending me the email (the best for your Descriptive Statistics app, Roger). I want to give a special thank you to John Cadick. Cadick requested that I review this calculator and has loaned me his calculator to review. Much appreciated, and John, I hope you like this review. 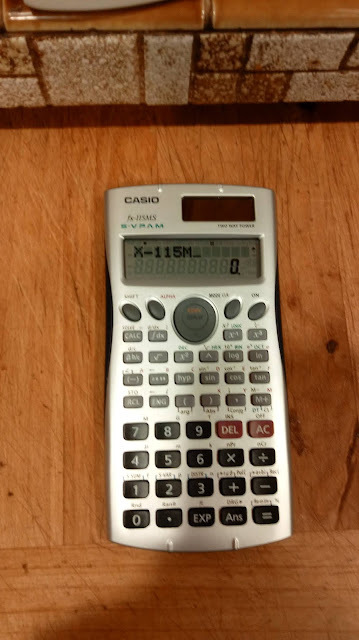 The Casio fx-85WA has a two line display: the top line for the mathematical expression to be evaluated, and the bottom line displays the answers. The font on the bottom line is bigger than the font on the top line. Later models will have the fonts of both lines of about equal size. You can enter equations as they are written, no need to worry about post-fix notation. 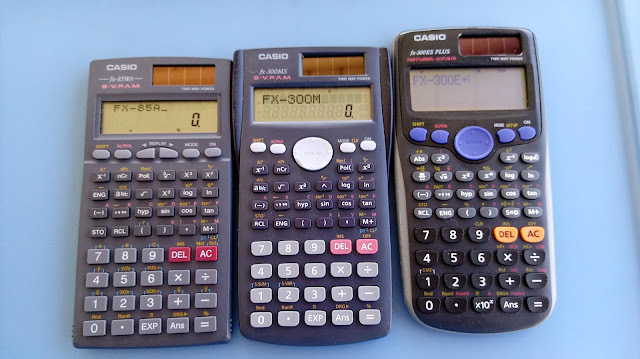 The order of operations is effect for all calculations. You can enter and do calculations with fractions with the [ a b/c ] key. After a calculation is completed, the [ a b/c ] can convert results between a fraction and decimal approximation. All fractions are simplified. 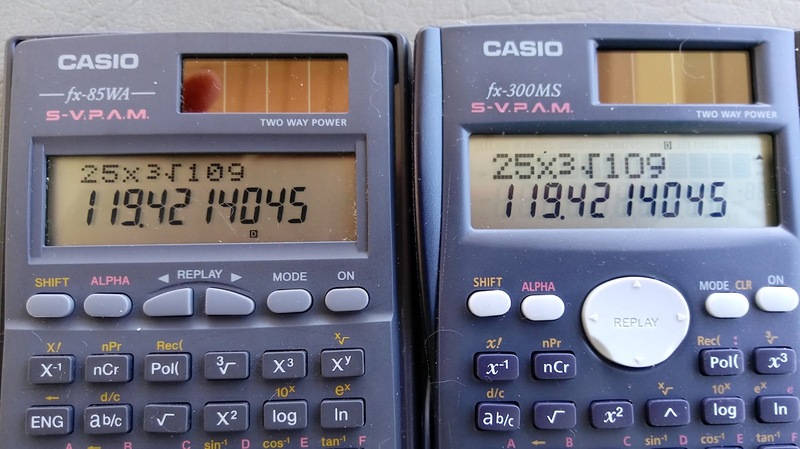 The maximum denominator is 9999. Conversions between mixed fractions and improper fractions are also available. The last expression can be edited. To re-edit the last expression, simply press either the arrow keys [ ← ] or [ → ] and edit. Characters can be inserted and deleted. Data points are entered with the [ M+ ] key with frequencies added with the semicolon ( ; ). When data is entered, the x value is returned. There is no data count indicator when [ M+ ] is pressed, I wish it did. Keep this in mind. The fx-85WA is a light calculator and pretty compact. The keys are pretty solid, but also allow for fast typing. I like the labeling of the keys, they are easy to read. One thing I am big fan of both STO (store) and RCL (recall) are primary key functions. This is something we don’t see on scientific calculators anymore, as often either STO or RCL is a shifted function. The color of the font on the keys and labels are readable with good contrast. 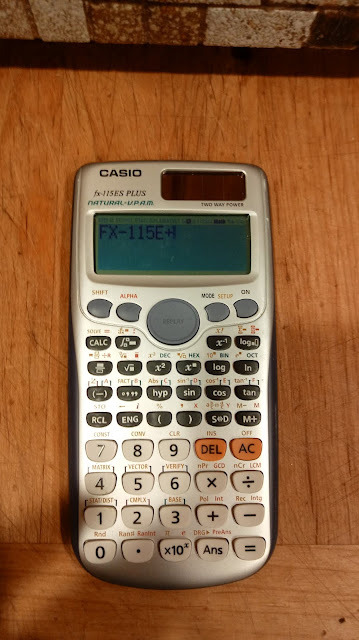 The fx-85WA is a pleasure to use. 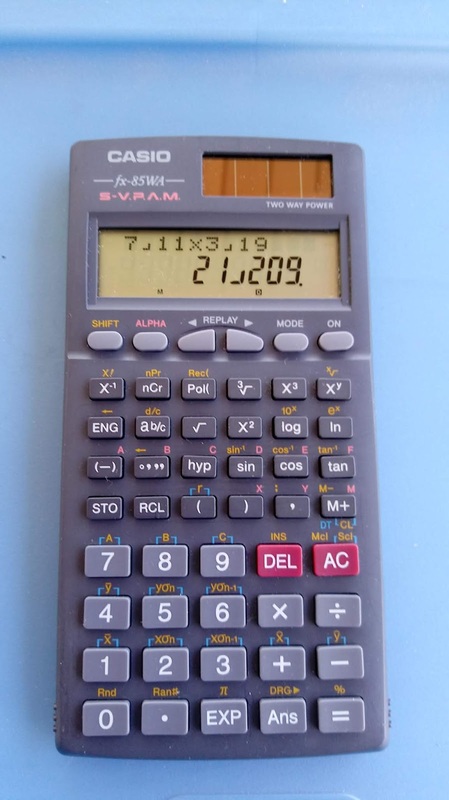 The fx-85WA serves a scientific calculator providing with lots of functions. My only wish I had for this model is that top line’s font is bigger, but that is addressed in later models. 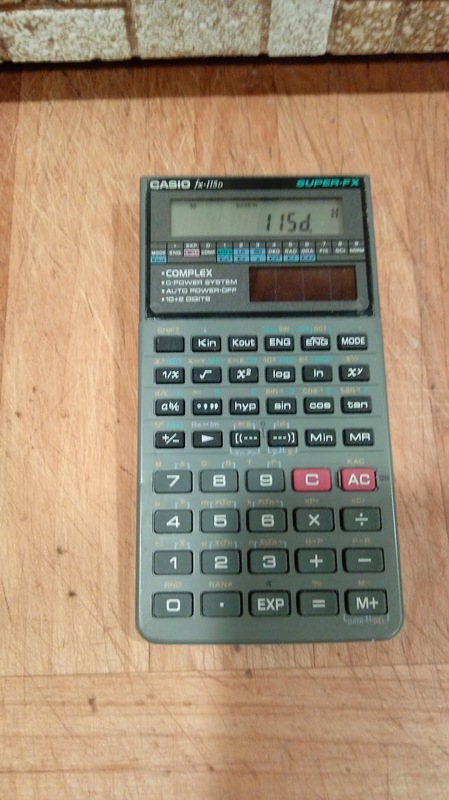 This model (and equivalent fx-300W) is a challenge to find. I searched ten pawn shops and several thrift shops for this model without success. 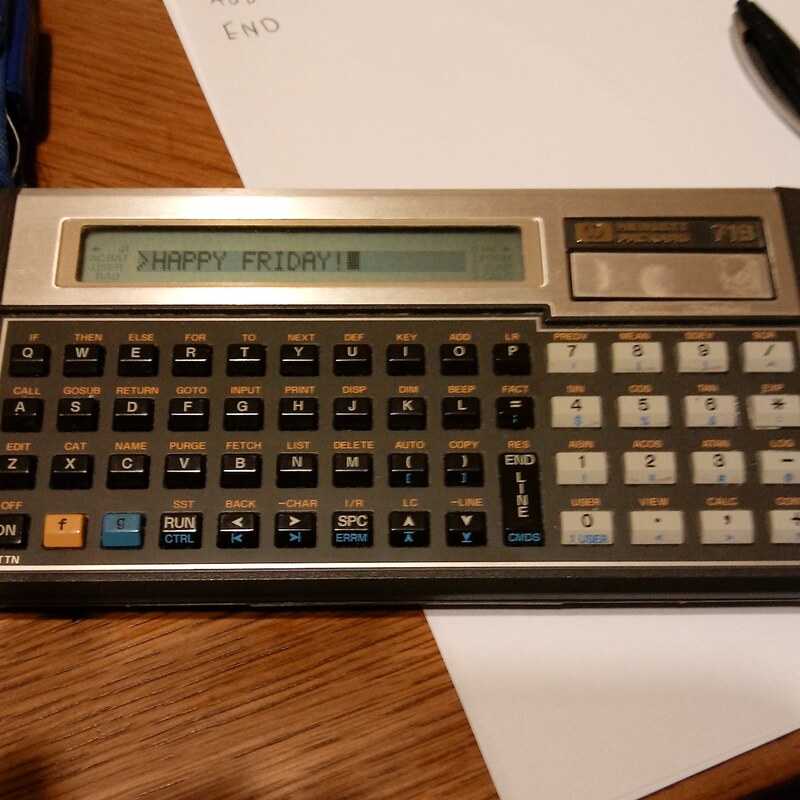 Before I go: I want to thank John Cadick for lending me his calculator to review.